Brandon (r) caught his second Wahoo this week on a triple hooked drifted sardine. The fish was 56.5 inches and weighed in at 33 pounds. A second Wahoo was hooked at the same time but managed to shake the hooks free before coming up within gaffing range. 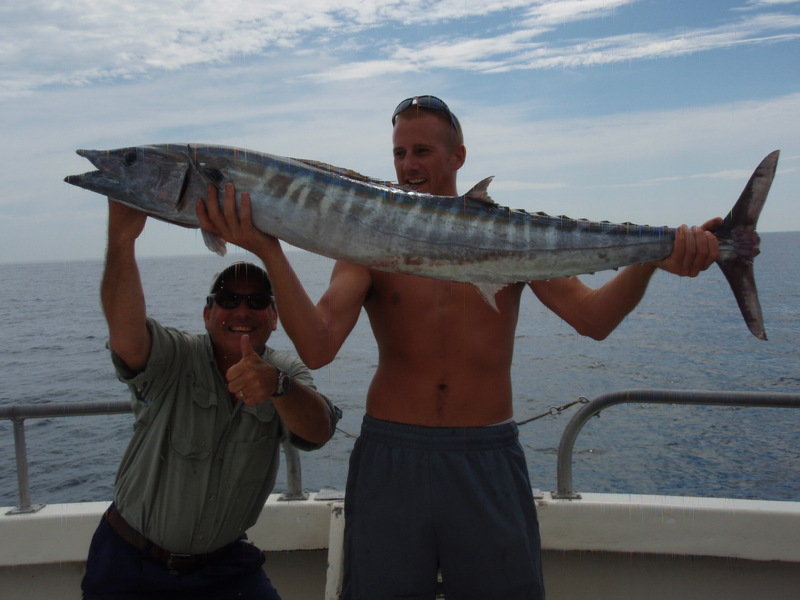 Congratulations on your second Wahoo catch aboard the Lady K Brandon! 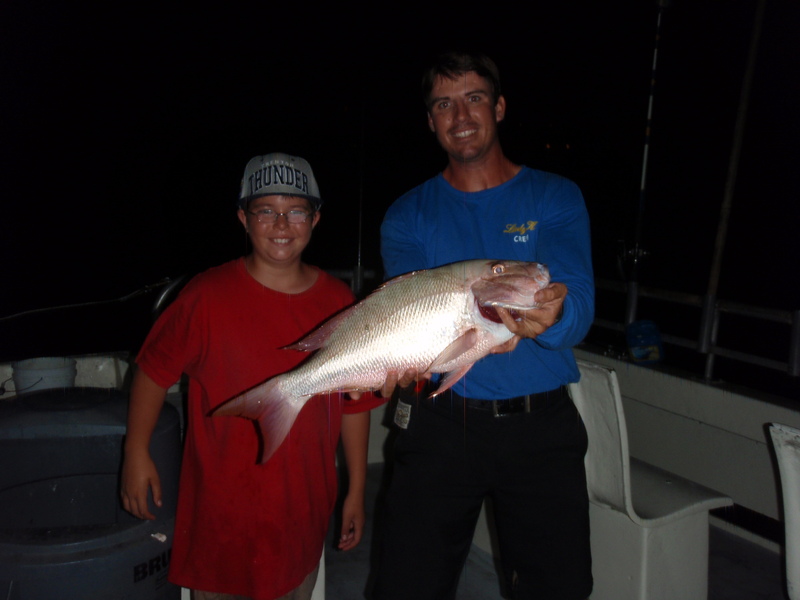 Night fishing has been producing King Mackerel and a few nice Mutton Snapper like the one captain James is displaying for one of the Lady K”s junior anglers.Smaller Lane and Mangrove have also been coming aboard by anglers using bottom rigs and cut squid or bonito for bait. 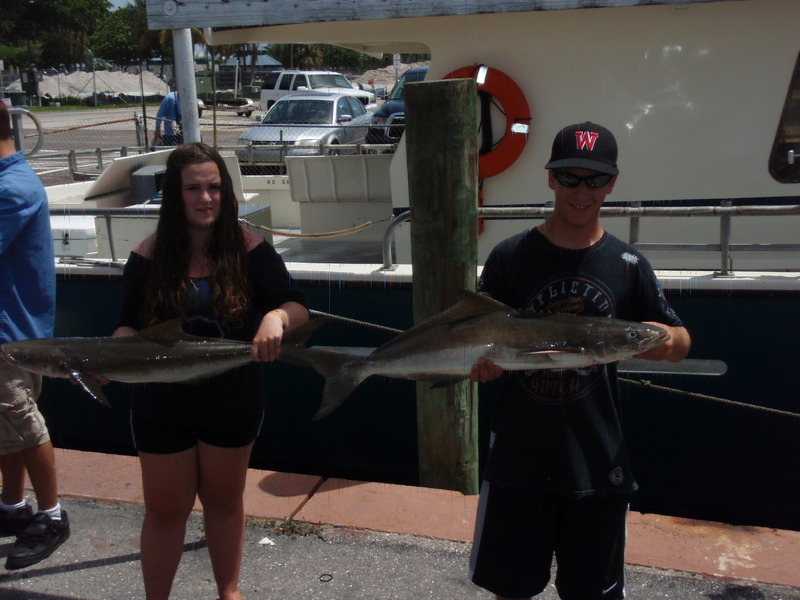 First time anglers show off their Cobia caught during a recent morning trip. Cobia are excellent table fare and can be caught year round throughout the Lady K’s home range. 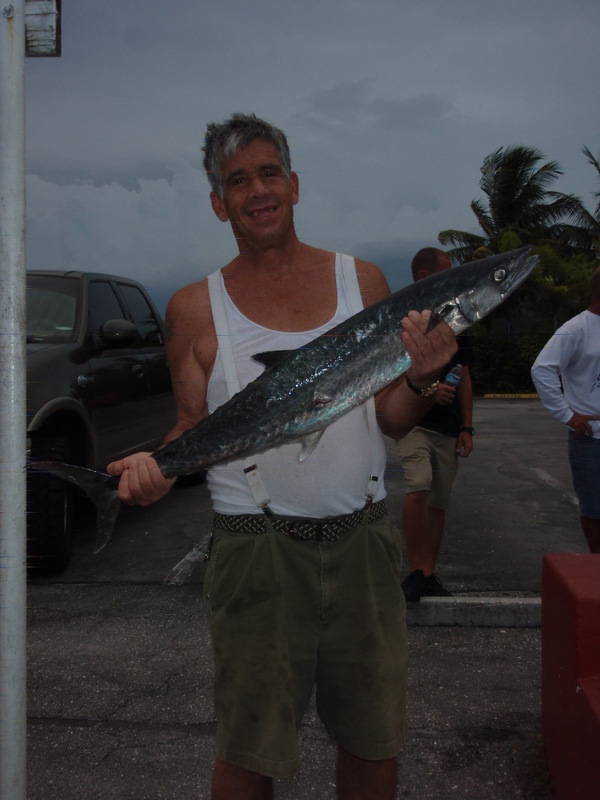 VIP angler John C. shows off a nice summer-time King Mackerel caught during one of this weeks afternoon trip. Along with the King Mackerel, other fish like the Bonito or False Albacore, have been keeping anglers busy along the rail during all three of the Lady K’s daily trips. 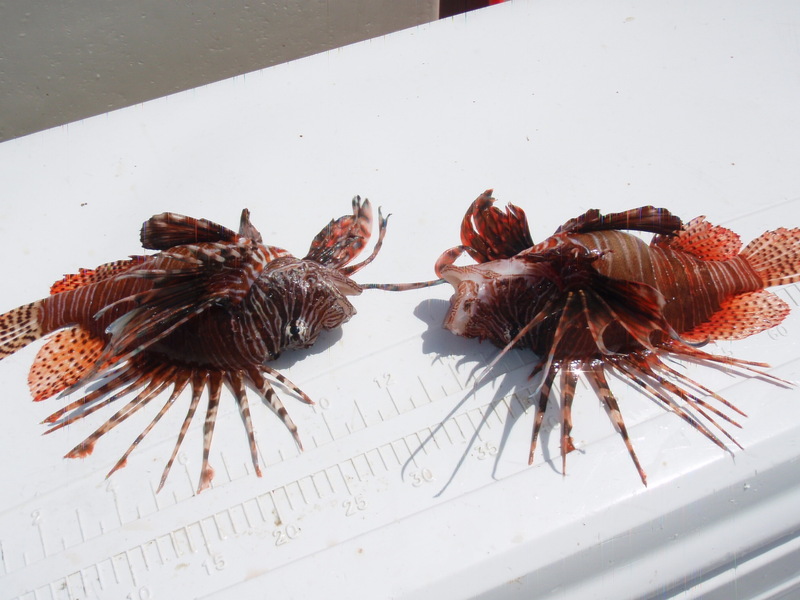 Lionfish, like the ones pictured above, are an invasive species to the reefs along the South Florida coast. These fish are also very venomous and should only be handled by the crew members on the Lady K, as well as all fish species. Fishing is great opportunity for family and friends to get together while enjoying a day on the turquoise waters of the Atlantic Ocean. Set out a bait, kick back, relax and see what wonder may come up after tugging your line.